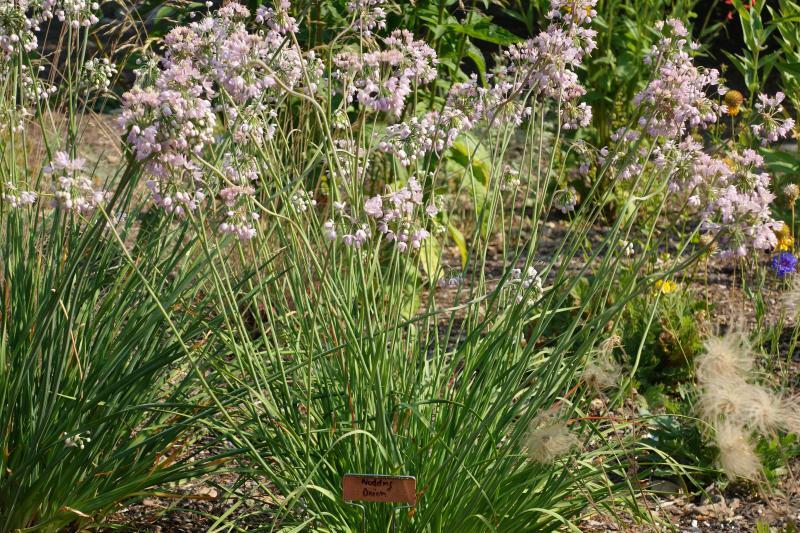 Characteristics: The Nodding Onion is a native perennial onion that features pink flowers in nodding umbrella shaped clusters, called umbels. Flowers attract bees, butterflies and hummingbirds. The nodding umbles separates this species from many other native onions. Plants resemble chives, with "grass like" leaves that are about 12 inches tall. In flower, plants grow to a height to 1.5 feet. All parts of the plant have a mild oniony scent. 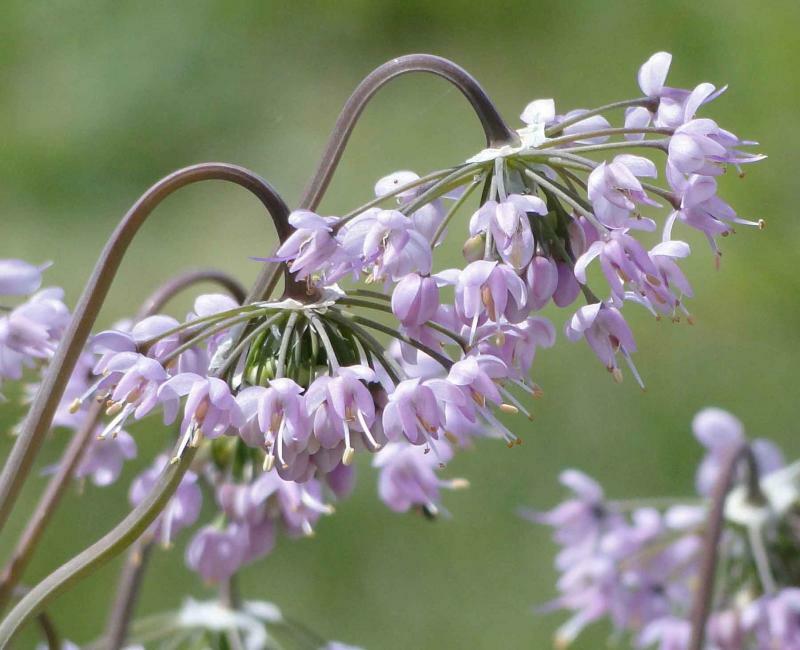 Cultivation: Nodding Onion is easily grown in average, dry to medium, well-drained soil in full sun to light shade. It is adaptable to a wide range of conditions though plants will do best in full sun. Plants will naturalize by self-seeding and bulb offsets in optimum growing conditions. Deadhead flowers before seed sets to prevent spread. Foliage persists past flowering into late summer before dying back. Culinary: Leaves, bulbs and bulbets are edible.